LaCie announced some updates to their familiar rugged line at NAB. There is now a larger housing with two drives for RAID 1 or 0. It includes both a thunderbolt and USB 3 interface, with 4 TB for $419. 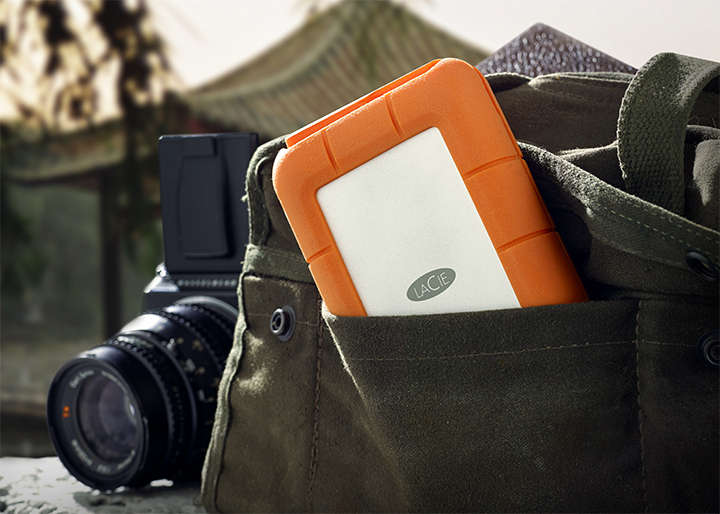 Also new to the rugged line is a 1 TB SSD drive, priced at $899. There’s a variety of other options in both SSD and spinning disk ranging from 250 GB to 2 TB. Not rugged but a new mobile addition is a USB-C drive. Expect to see more of these now that Apple has made it clear that’s the new direction of connections. Comes in 500 GB, 1 TB, and 2 TB version. 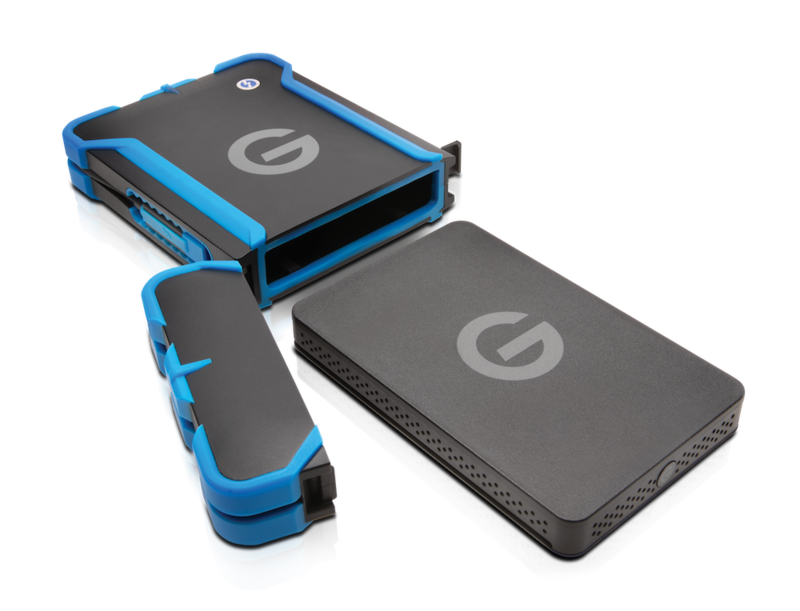 G-Tech introduced their own rugged hard drives with their new G-Drive ev ATC line. The drives fit inside an enclosed housing which can handle a 2m drop, is dust and water resistant and floats in water. But by using the ev drives the rugged housing can interface with it and still be used without removing the drive through an attached USB 3 or Thunderbolt cable depending on which model you buy. Get more info at LaCie and G-Tech.